Organizations are no longer a self-contained entity defined by brick and mortar walls and traditional employees. The modern organisation is comprised of a mixture of third party relationships that often nest themselves in complexity such as with deep supply chains. Organizations are a mixture of contractors, consultants, temporary workers, agents, brokers, intermediaries, suppliers, vendors, outsourcers, service providers and more. The extended enterprise of third party relationships brings on a range of risks that the organisation has to be concerned about. Managing third party risk has risen to be a significant regulatory, contractual, and board level governance mandate. Organizations need to be fully aware of the risks in third party relationships and manage this risk throughout the lifecycle of the relationship, from on-boarding to off-boarding of a third party. Managing third party activities in disconnected silos leads the organization to inevitable failure. Without a coordinated third party management strategy the organization and its various departments never see the big picture and fail to put third party management in the context of business strategy, objectives, and performance, resulting in complexity, redundancy, and failure. The organization is not thinking about how processes can be designed to meet a range of third party needs. 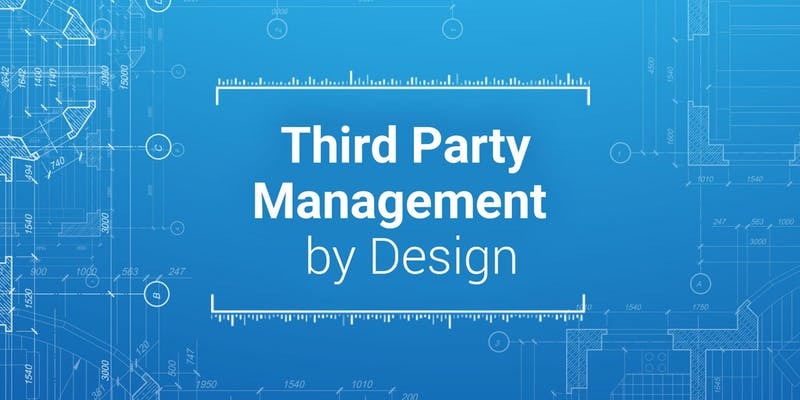 An ad hoc approach to third party management results in poor visibility across the organization, because there is no framework or architecture for managing risk and compliance as an integrated part of business. When the organization approaches third party management in scattered silos that do not collaborate with each other, there is no possibility to be intelligent about third party performance, risk management, and compliance and understand its impact on the organization. A haphazard department and document centric approach for third party management compounds the problem and does not solve it. It is time for organizations to step back and define a cross-functional and coordinated strategy and team to define and govern third party relationships. Organizations need to wipe the slate clean and approach third party management by design with an integrated strategy, process, and architecture to manage the ecosystem of third party relationships with real-time information about third party performance, risk, and compliance and how it impacts the organization. Join Michael Rasmussen, GRC Economist and Pundit, GRC 20/20 for a practical workshop session on effective third party management – drawn from Michael’s vast experience of helping companies across the world understand and enable best practice approaches. Third parties are strategically important to business strategy today, yet with their opportunity comes risk. During this workshop, you will learn how you can integrate strategy, process, and architecture to better manage third party relationships, and drive better efficiency, effectiveness, and agility in your third party programs. This workshop provides a blueprint for attendees on effective third party management in a dynamic business, regulatory, and risk environment. Attendees will learn third party management governance and process that can be applied across the organization at either an enterprise or a department level. Learning is done through lectures, collaboration with peers, and workshop tasks. There are many stakeholders across the organization that are involved in third party risk management, and collaboration is key. We encourage attendees to bring a peer from their company. If you are a senior compliance professional, we encourage you to invite a peer from procurement or Information Security. And vice versa. Michael Rasmussen – The GRC Pundit @ GRC 20/20 Research, Michael Rasmussen is an internationally recognized pundit on governance, risk management, and compliance (GRC) – with specific expertise on the topics of GRC strategy, process, information, and technology architectures and solutions. 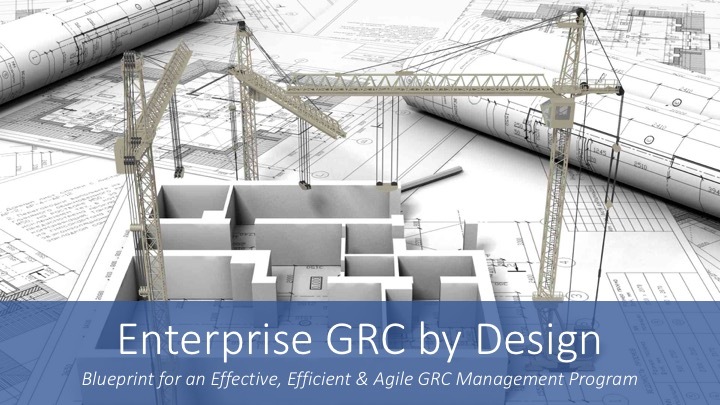 With 26+ years of experience, Michael helps organizations improve GRC processes, design and implement GRC architectures, and select solutions that are effective, efficient, and agile. He is a sought-after keynote speaker, author, and advisor and is noted as the “Father of GRC” — being the first to define and model the GRC market in February 2002 while at Forrester Research, Inc.
LockPath® was created by GRC experts who recognized the need for intuitive GRC software that was flexible and scalable to serve ever-changing and expanding organizations.